Made as tough as our targets and featuring: Floating, CNC machined 6061 aluminum jaws, capture by our precision springs and bolts. 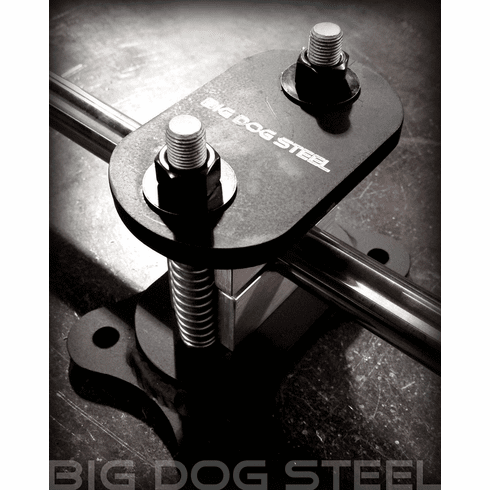 Fine threaded, Grade 8, Ultra Coated 1/2" bolts w/ blackened stainless steel hardware. The bolt heads are captured by the base piece, but should one ever get damaged are easily replaced. Designed to clamp almost any common barrel diameter.